According to a report on Tuesday, Apple's content licensing deals allow for up to five live format streaming radio stations, meaning the company could launch four more Beats 1 Radio-style offerings without renegotiating with labels. 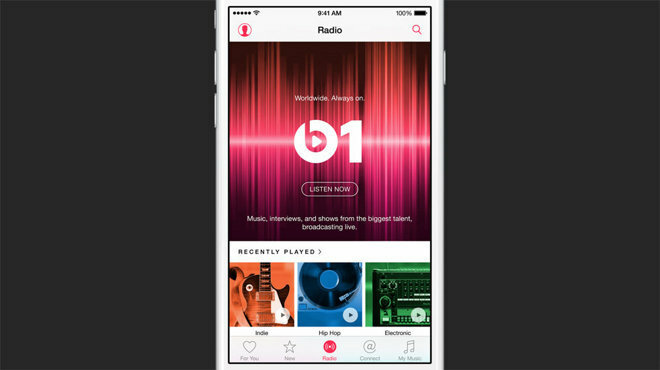 Sources with knowledge of the licensing terms told The Verge that Apple is within its rights to launch four additional streaming music "radio stations" with live DJs without consulting content owners. While not clearly specified, the report seems to indicate all labels are on board for potential expansion as part of conditions bundled with Apple Music contracts, meaning Apple could theoretically field genre-based stations, holiday-themed offerings, local stations and more. Apple has yet to announce future Beats 1 Radio additions, but a series of international Web domain registrations discovered by MacRumors point to upcoming offerings ranging from Beats 2 through Beats 5. Apple supposedly owns beats2.hk, beats2.com.ru and beats2.com.cn, for example, a pattern that continues through beats5.hk, beats5.com.ru and beats5.com.cn. It is possible that the company has no current plans to launch more Beats stations and is only protecting top level domains from squatters. Beats 1 Radio launched alongside Apple Music as a 24-hour station hosted by DJs Zane Lowe in Los Angeles, Julie Adenuga in London and Ebro Darden in New York. Live shows run for 12 hours, while remaining time slots have so far been filled by reruns of special celebrity shows from the likes of Pharrell Williams, Elton John, Dr. Dre and more. Today's report also quoted sources as saying labels are "pretty pleased" with Apple Music's performance thus far, but are looking to October when Apple's free three-month trial period expires. Until free-to-stream accounts are converted to paying subscriptions, an accurate barometer of customer demand cannot be determined.